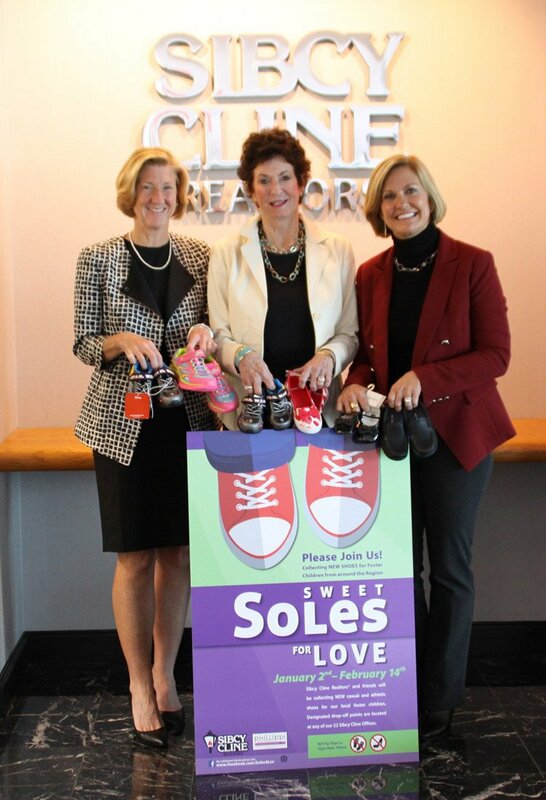 Following on the heels of Cases for Love and Gloves for Love, Phillippi-Whitney Communications and Sibcy Cline will partner again for Sweet Soles for Love. The goal is to collect 500 pairs of new shoes that will be distributed to foster children in the region. “All items will be put to good use by Hamilton County Job & Family Services and other partnering organizations serving our foster children, and will be dispersed on an ongoing basis as we receive them throughout the collection period,” said Moira Weir, director of Hamilton County Job and Family Services. According to Julie Whitney, owner of Phillippi-Whitney Communications, there is a tremendous need for both girls’ and boys’ shoes sizes infant to 12. All shoes must be new, in their original box or packaging. Sneakers, loafers, winter boots and any other closed-toe shoes are needed. The drive will kick off Jan. 2 and end Feb. 14. Donors may drop off new shoes and scarves at any of the 22 Sibcy Cline locations throughout Cincinnati, Northern Kentucky, Dayton and Southeastern Indiana, Monday through Friday from 9 a.m.-5 p.m.
Phillippi-Whitney and Sibcy Cline teamed up in 2014 for Cases for Love and collected nearly 10,000 pieces of luggage. In 2015 the two companies worked together to collect more than 6,800 gloves, mittens, scarves and hats for foster children.